Build electronic circuit boards using wire wraps. 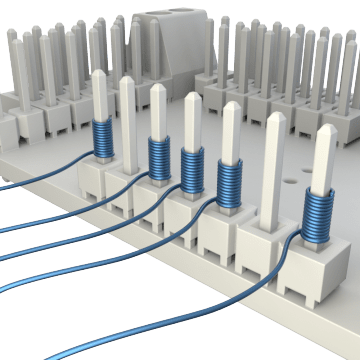 Wire wrapping can be simpler, faster, and more convenient than soldering, particularly when making multiple connections. Suitable on a production line, this wire comes wound on a spool and can be used to create electronic circuit boards without any soldering. 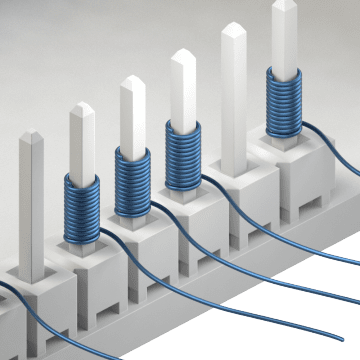 The wire connects and distributes power to electronic components. 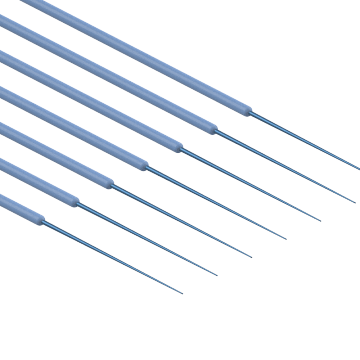 Made for quick installation, this wrapping wire is already cut to length and stripped at each end for forming connections.